Syhunt releases Sandcat Browser 5.0 � We're excited to announce a brand new version of our pen-test oriented web browser Sandcat (codenamed Catarinka browser). The new release will also be available as part of the 5.1 release of the Syhunt Hybrid suite. The new enhancements include: faster startup and responsiveness, huge refactoring and cleanup of the current code, latest Chromium component and improved compatibility with 64-bit Windows editions. 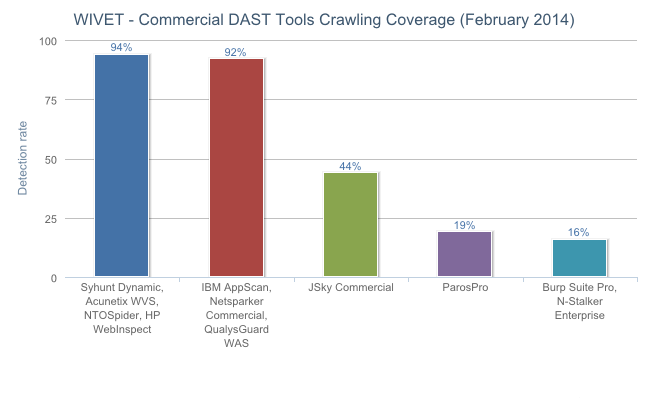 Syhunt Dynamic soars to number 1, reaches 94% crawling coverage � New WAVSEP benchmark - The WAVSEP - The Web Application Vulnerability Scanner Evaluation Project performed a massive array of tests on 63 black box web application vulnerability scanners and SAAS services. The comparison findings were published on February 5, 2014. The entire industry and security community benefits from an up-to-date comparison of today's web application security scanners like this one. A while back � in December, we announced the release of Syhunt Dynamic 5.0 with greatly superior crawling/spidering. This year's WAVSEP data reflects the improvements that have been made in Syhunt Dynamic and shows Syhunt has the number 1 crawling coverage alongside 3 other top solutions which were able to achieve 94 percent coverage on its WIVET test. Major higher-education institution in France selects Syhunt - �cole Polytechnique, a higher-education and research institution in France, has selected Syhunt Hybrid for securing all its web sites and web applications. Syhunt is pleased to provide its hybrid web application security scanning solution to this customer and to other organizations in Europe and the rest of the world that are part or will be joining our customer community. Syhunt's unique scanning capabilities are allowing customers to perform deep remote assessments and code reviews of web applications like they never did before and to fix a high number of vulnerabilities they never thought existed.